There hasn't been a more appropriate time for exposing this BUG then right now. The Chosen One update has made this BUG happen so much more then before, that if you play a blocking character chances are you'll experience this BUG more then once EVERY MATCH. This BUG has been in the game since release, however it was never adressed by DICE in any patch. 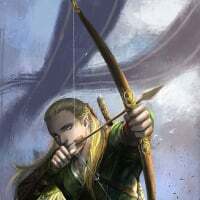 Early on though, people discovered how to fix it without the need to die or respawn: If you spend all your stamina by either attacking or, in a later update, by trying to block too (despite blocking not working, it does spend stamina normally), your block would come back to normal, getting rid of the bug. To my sadness, the Splitscreen mod stopped working after the Solo Season Update in June, and it only got back late December 2018 or early January 2019. I planned to test many other BUGs with it like the Corpse Attacking BUG, but they had to wait until now (stay tuned for the corpse attacking bug, it's almost done). Sow with its revival, I used the splitscreen to once again show this BUG and maybe get the attention of the devs on how to reproduce this BUG on purpose, with a method that's 100% reproducible. Well, I finally did it. With an idea and evidence from forum user @Atreus213 , I tested Kylo's Freeze, and that's exactly how to do it. I hope this video helps solve this issue once and for all. 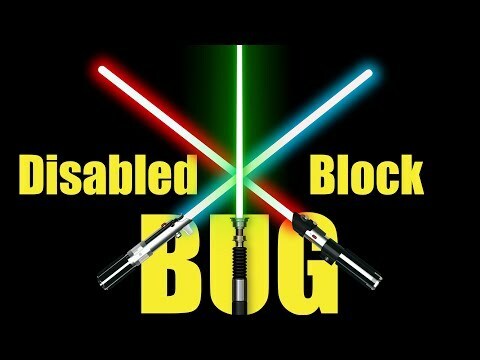 I imagine a debugging method for SWBFII2017, or for Frostbite Game Engine itself, together with this method of triggering the BUG on purpose may be the final move we all need to get rid of this infamous BUG once and for all! 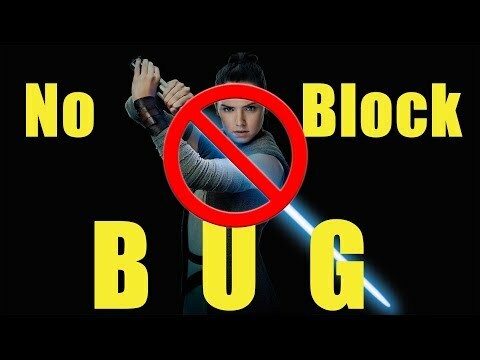 And with that get rid of Rey's Dash Strike Visual BUG and Obi's Defensive Rush Visual BUG too, which are both consequences of the Disabled Block BUG. Blocking has had a 50/ 50 shot of working for months now. 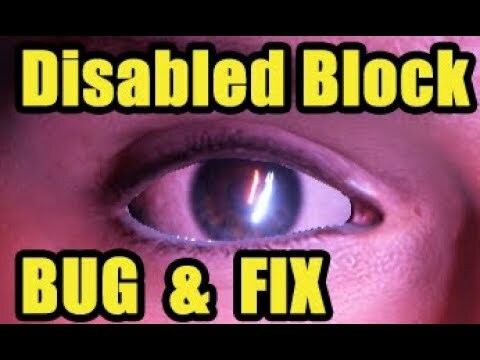 Lets stop acting like it is new, it is an old bug they refuse to take the time to fix, or even worse just gave up because it is too hard to fix. I would have been inclined to tweet this video and share on all SM platofrms and a large gaming group here in London. The thing is, whatever possessed the editor to put music over it? It's distracting, and frankly, melodramatic. The video is otherwise so polished and professional that it's a shame. I think it's important to remove such emotive choices when hoping to deal wth professionals. I'm impressed they got the Chosen One hotfix out so quickly. F8RGE commented on Reddit that blocking is going through the process now. 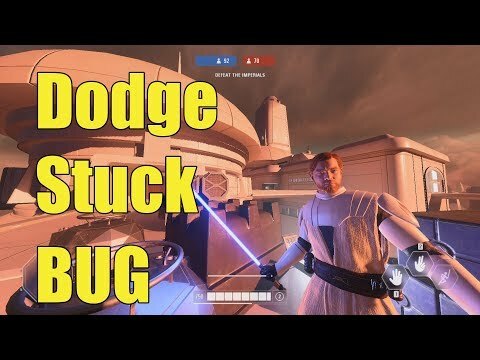 Found a worse bug than that try Obi Wan getting stuck in AOP stance. 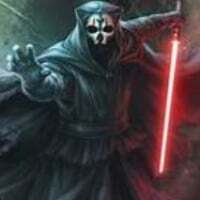 It took Palpatine shocking me to unfreeze me, you can't move only block. Do you know how it happens to dark side characters? It is much more rare but I have lost the ability to block with Kylo and Dooku before. Kylo just yesterday. Also, I'm not sure if this is still happening, but in the past I used to start a match and not be able to block at spawn. This happens with Boba's jetpack too sometimes at spawn - and there is no way to "drain stamina to reset"
I really hope this gets fixed. It plagues all my light side heroes except for Rey. TBH it was my choice to put this music there. In my mind I always thought some kind of music made videos much more enjoyable to watch. I know it's cringy and melodramatic, but that's the tone I wanted to pass with this video, the tone of a BUG which has had most aspects of its existence dissecated and reported back to the devs, to be ignored for almost a whole year. The tone of a BUG reporter who has been very dedicated in trying to solve most buggy issues of this game since early on, and has hardly ever been ackowledged for his work. The choice of the song, a bit random in nature (there could have been many others with the same tone), but on spot for its tone, was done to praise the youtube music composers community, as this is a royalty free youtube music. Also, as I said before, as I thought a music would always go well with videos, I always try to incorporate one or more of these in hopes the video gets more attention from the community too. Because it's a youtube channel after all, and I'd love it suceeded in becoming something that pays me for my efforts, as EA doesn't seem to want me as a free playtester, even less an employee. Same tone, but much better music (IMO at least). And there are those Funny Moments compilation channels like JongoPhett, Silkiewhisperer, and SomeLuckyBoy, that always use the royalty free music from the youtube music composers community, and they have successful channels. But we must try different things to learn what's better to show what we want to show, right? I'll try your approach with the Corpse Attacking BUG as I already have all the footage I need, but still didn't start to make the video (Obi's godmode BUG video is already in the making and already has music, so I won't scrap it from that one). 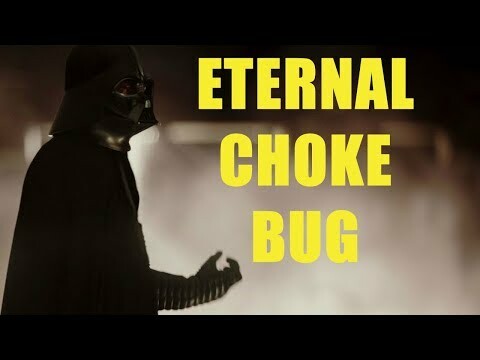 A brief about the Corpse Attacking BUG: Whenever you kill luke, maul, or phasma while they are performing Rush, Spin, and Staff Strikes, it may trigger this BUG where they start hitting you after dead. Actually I have no idea which are all the triggers to this BUG. But chaotic encounters, usually immobilization or forced movement effects paired with staggering ones are common to trigger this BUG. And yes, you may start a match with this Disabled Block BUG already, although it's very rare. 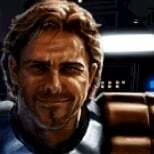 And Boba's jetpack issue seems to be similar in nature, it can happen at the start of a match, or happen during it (I experienced both already), and you can't spend stamina to fix it, but if you respawn it gets corrected. At least it's much rarer (or I don't play Boba enough to see it frequently).